The third installment in the Western action game series called Red Dead, started back in 2004 with the release of Red Dead Revolver. 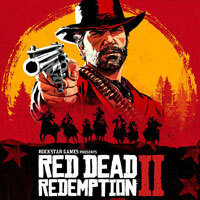 Red Dead Redemption II is the third installment in the Red Dead series of western games established in 2004 with Red Dead Revolver. The series became extremely popular only after the release of Red Dead Redemption – an open-world action game dubbed by many as the best game ever released on Xbox 360 and PlayStation 3. The prequel described herein wad published by Rockstar Games (known mostly for creating series such as Grand Theft Auto, Midnight Club, and Manhunt, as well as such controversial titles as Bully and Max Payne 3). Red Dead Redemption II was first released on PS4 and XONE. The action of Red Dead Redemption II is set in 1899, that is before the events depicted in Red Dead Redemption. The gang of outlaws led by Dutch van der Linde (known from Red Dead Revolver) is roaming the old West together with Linde's right hand – Arthur Morgan, the main protagonist of this story and of the original Red Dead Redemption. When the Blackwater robbery goes south, the outlaws are forced to flee the sheriffs and bounty hunters and, eventually, to fight for their survival in a hostile environment. On his adventure, the main protagonist has to choose between staying loyal to his friends and his ideals. Moreover, players' decisions together with Morgan's reputation affect the story in the given region. Also important are his relations with the remaining gang members he is sharing the camp with – the actions you make determine their approach towards your character. In the PS4 and XONE releases of Red Dead Redemption II, players observe the action from the third-person perspective (TPP). The game gives us at our disposal a vast, open world consisting of mountainous areas, streamy valleys, picturesque prairies, dense forests, and also cities inhabited by people leading their own lives according to individual agendas. The aforementioned camp is your base of operations – during the game, you need to take care of the supplies and people's morale. What is worth remembering, this duty does not fall to Morgan exclusively – his friends also set out for scavenging and hunting missions should the camp run scarce of a given resource (depending on that person's role, it can be wood, food, money, etc.). The developers put a lot of their effort into making the in-game world realistic and living, thus the characters in it are dynamic and respond to players' actions. When traversing the wastelands, players are bound to encounter animal wildlife (rodents, birds, and predators such as bears). One can travel on foot or on a back of one of the horses that come in different breeds – they are diversified in terms of their attitudes and the way they cope with different types of terrain like wastelands and rivers. What is important, Morgan can establish a bond with his horse – should he earn the horse's trust, the animal can remain calm during shootouts or when encountering an aggressive animal. On his adventure, Arthur has his hat full with all the quests he can complete – from main story missions to side missions and random events. Interestingly enough, access to many of these depends on a number of variables, such as the main protagonist's reputation or the time of the day. Also important are bank robberies players must carefully prepare to. There is also nothing standing in players' way to go off hunting and sell the animal hide to one of the vendors or craftsmen. Remember though to make haste, as animal carcasses tend to rot quickly, rendering them useless. As one might easily guess, Morgan is not unarmed. He has at his disposal mostly revolvers and shotguns, however, he can also shoot bows that prove useful when hunting, as an arrow does not damage the prey as bullets do. The game features the return of Dead Eye system – upon activating it the time slows down allowing players to mark several targets for an immediate elimination. There are also pistol duels taking place at high noon, in which players have to prove their reflex and good aim. Apart from the elaborate single-player mode, Red Dead Redemption II features also an extensive multiplayer mode. The PS4 and XONE releases of Red Dead Redemption II is based on technology that fueled Grand Theft Auto V – for the purposes of the game described herein, however, the developers have improved their engine which resulted in high-quality visuals. Interestingly enough, the game features slow-motion effect that is automatically activated at some points of gameplay. The developers made it possible for players to adjust their HUDs in accordance with their preference – there is nothing standing in your way to turn the minimap or the crosshair off.